This is a great activity for the kids and very simple to do! 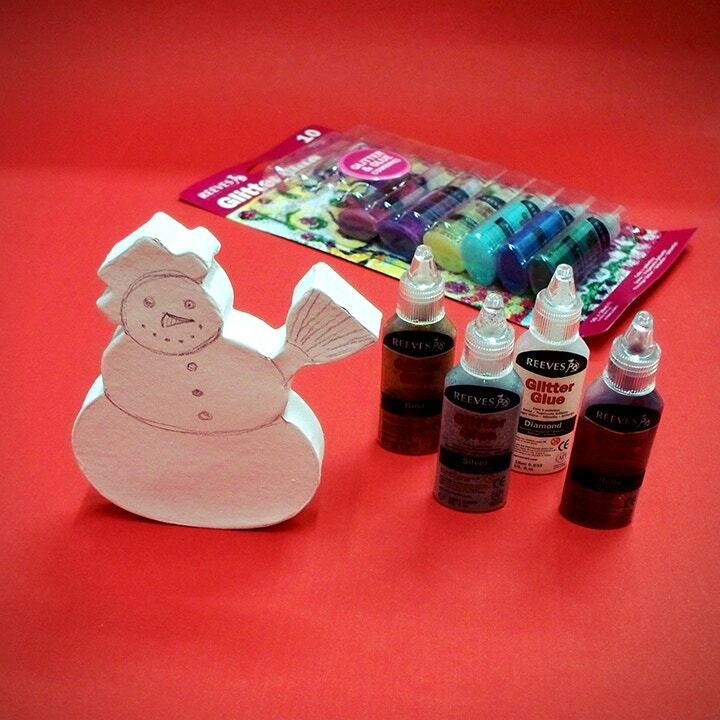 All you need is a Decopatch Paper Mache Snowman (or a few if you're feeling very festive!) and a set of Reeves Glitter Glues. As the snowmen are already white you can get to work straight away by outlining the features lightly in pencil. When you are happy with how your frosty fellow is looking then apply the glitter glue. 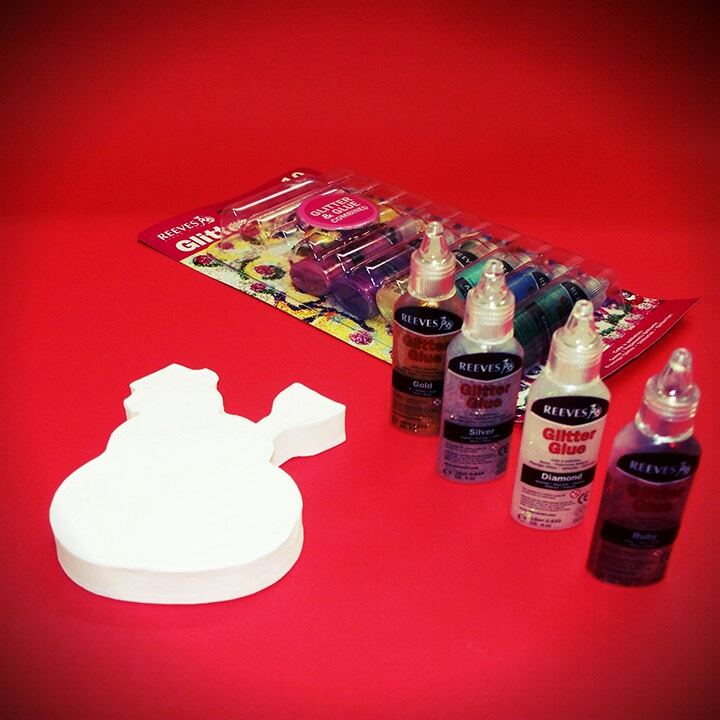 You'll need to squeeze the bottle gently and apply the glues with the nozzle as you would with a marker or brush. Leave to dry and then you're all done! Perfect for the mantelpiece or for the Christmas table.